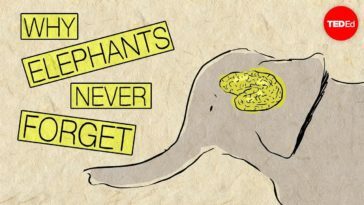 Bugs aren’t usually the cutest creatures for most people and even a thought about touching them creeps them out. It doesn’t apply to Adrian Kozakiewicz though, who is one of the largest insect breeders in Europe and works with various insects from all around the world. 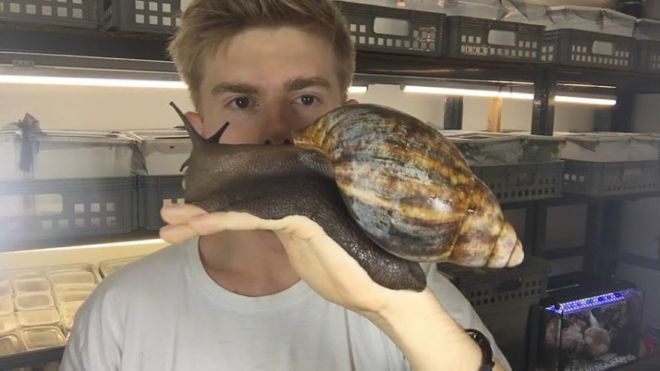 He has recently introduced this giant snail to his followers and everyone’s going crazy about it. 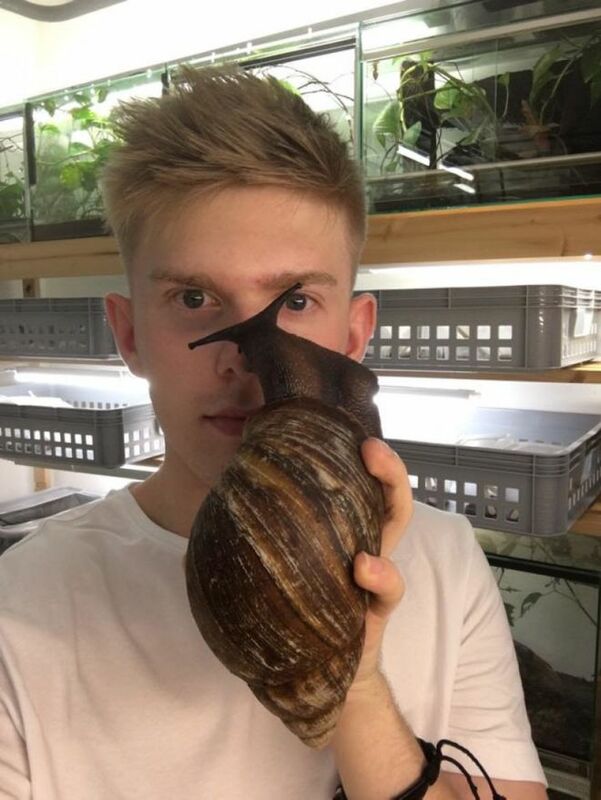 Apparently, it’s called archachatina marginata, and, according to Adrian, it’s the biggest snail you’ll ever see. 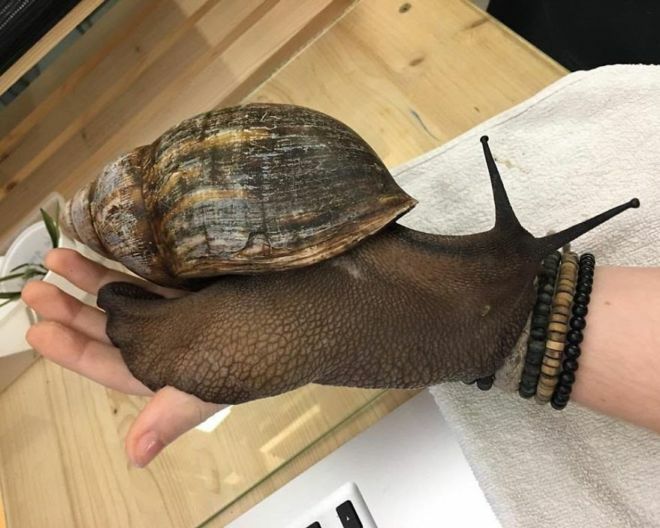 Its common name is West African snail and it can grow up to 20cm long and live up to 10 years. Maybe a great alternative to a small cat since it’s pretty much the same size, don’t you think?